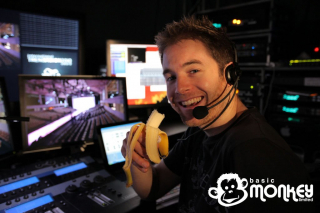 James Cooksey is the founder and director of Basic Monkey Limited. Forming the business to fulfil his long term ambitions, he maintains a personal interest in every project from conception to completion. From an early age at home near Wilmslow in Cheshire, James demonstrated an interest in electronics by dismantling household appliances. No toaster, kettle, radio or any box with buttons or wires was safe! Unfortunately these devices never regained their former glory, but the process did lead to a basic understanding of electronics. Feeding this, James’ parents provided books, electronic and mechanical construction sets, more things to dismantle and an Amstrad Basic computer. By the age of 10, James was controlling the lights for the school’s production of ‘The Wizard of Oz’ and the majority of theatre shows. Off to senior school and an involvement with their production and IT departments soon followed; learning computing, programming and networking during lunch breaks and evenings, mixed with lighting, sound and video for school productions. 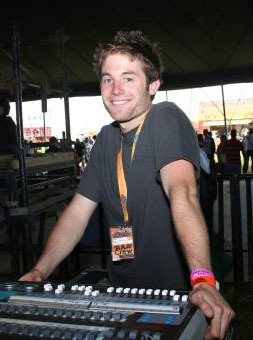 It was becoming apparent to most that James would be best suited to a career in computers or entertainment, fittingly the outcome encompasses both. After a chance meeting in a petrol station, James made contact with Lightech Sound and Light in Congleton and made the move from sound to lighting. 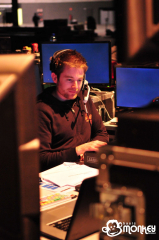 Working on a vast range of events in an even wider variety of venues, James learned the ins and outs of event lighting as a freelancer with support from the team at Lightech. Within a few months James was operating shows and after 18 months, started taking more involvement with running and designing rigs and shows. Come late 2006, James decided to form Basic Monkey Limited as a springboard to working directly for trade, private and corporate clients and encompassing all production disciplines. The business is still developing and James is still learning. 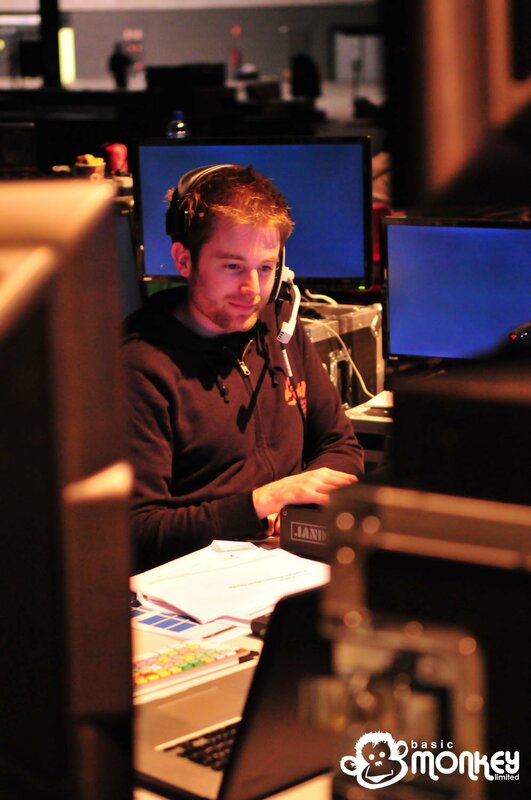 James now specialises in video systems design and implementation, principally using the Catalyst media server, but stays involved in all areas of event production technology. In the past year he has worked on projects in the UK, Europe, North America and the Middle and Far East doing Catalyst programming, video projection, LED screens and lighting in both live music and event markets.